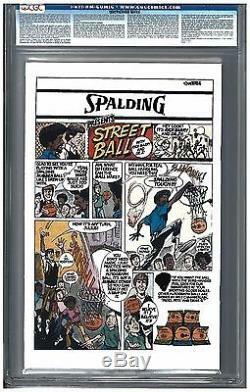 Investment worthy high grade key Bronze Age comic book. 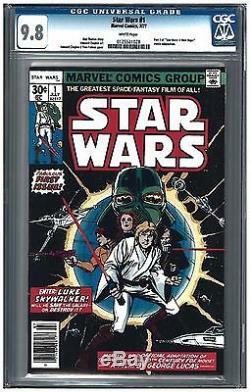 Star Wars #1 CGC 9.8 (7/77). Part 1 of "Star Wars: A New Hope". Howard Chaykin & Tom Palmer cover. No stock photos used and from a smoke free environment. Our goal is 100% satisfaction with your investment. The item "STAR WARS #1 CGC 9.8 (7/77) MARVEL COMICS" is in sale since Saturday, October 22, 2016. This item is in the category "Collectibles\Comics\Bronze Age (1970-83)\Superhero\Star Wars". The seller is "53loukas" and is located in Las Vegas, Nevada.